I stumbled across this album yesterday. I'd never heard of Montez. 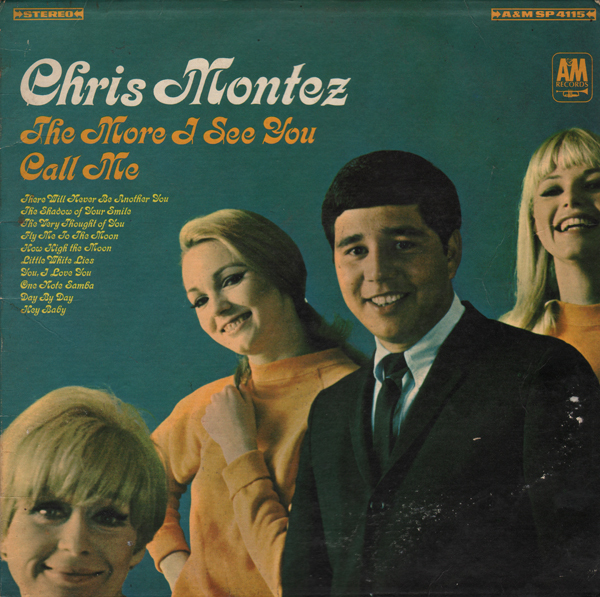 Apparently this was his "comeback" album after releasing a successful rock song titled Let's Dance Monogram 1962. He was talked into making this "middle of the road, soft ballad" record instead of a rock follow up to Let's Dance. The single Call Me did very well and has been used, according to his wiki page, many times in movies. All that aside, I would say this is a light pop/jazz album and not at all "middle of the road". 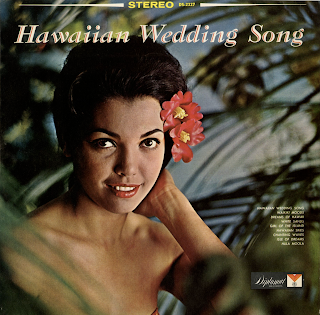 The vocals are hard to describe... but up here in The Atomic Attic... if you follow the stuff that I like to post... this album is worth searching out. It is unique and cool. 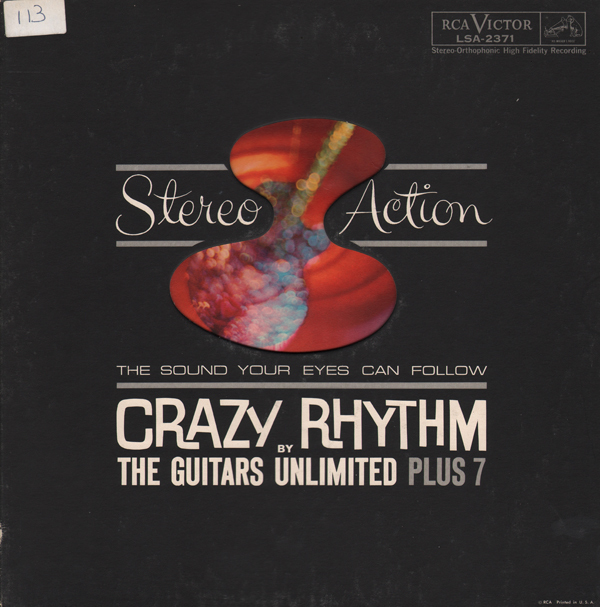 "Stereo Action" was a series of Stereo Action albums was RCA's way of promoting their "stereo" engineering. The jackets are lavish numbers featuring interesting die-cuts that allowed the heavy gloss inner sleeve art to peek through. 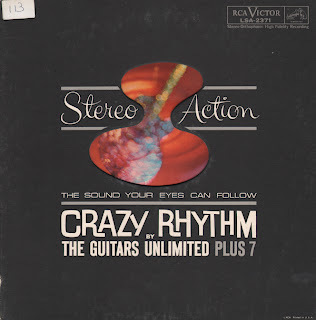 On this set the stereo effects aren't pushed to the point of annoying. 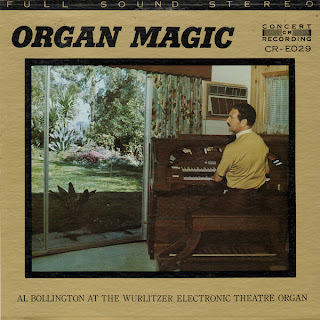 From the back cover: The cover shows Al seated at the Wurlitzer Electronic Theatre Organ at his home in Woodland Hills which is about 10 miles west of Hollywood, California. Bollington made an album on Dot (Organ Hues In Hi-Fi) and one on Decca (Presenting Al Bollington At The Conn Organ). 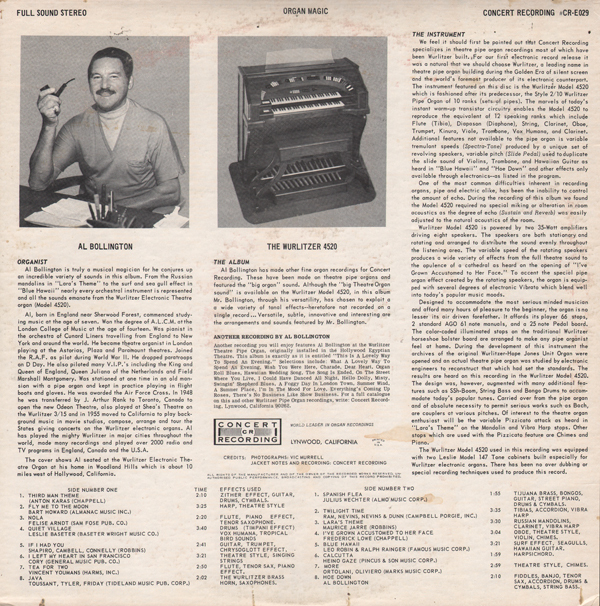 There is a reference on the back cover to another album titled What A Lovely Way To Spend An Evening, which is also on Concert Recording. I'm not sure how this LP fits into Bollington's timeline although this effort doesn't seem like Dot or Decca material. The cover photo was worth the price of the album. 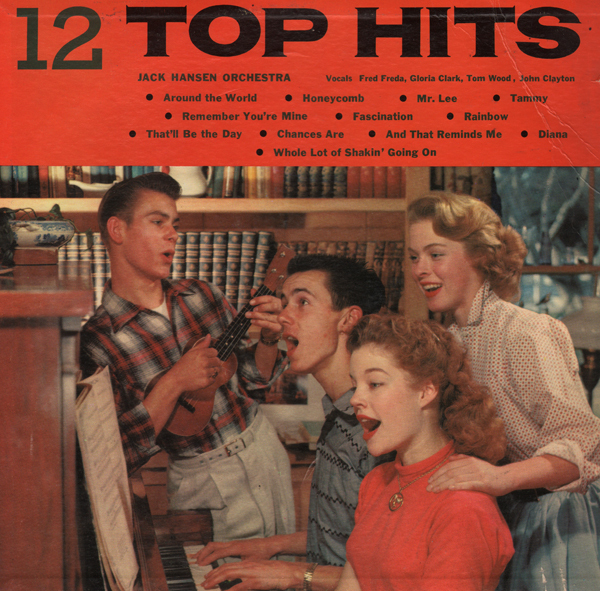 Total budget easy listening set featuring a charming vintage photo on the jacket. 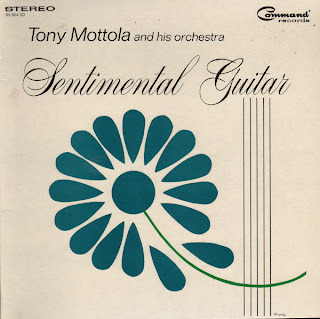 From the back cover: Sentimental Guitar is Tony's answer to these requests – an answer that follows in the footsteps of Romantic Guitar part of the time and at other times expands on it by adding an intimate group of unobtrusive strings and woodwinds.